For those not familiar with Augmented Reality (AR), it’s the seamless integration of the digital and physical world through mobile technology. AR facilitates an immersive, content-rich user experience that allows interaction with brands via mobile devices in a new, exciting and memorable way. For maximum accessibility, AR is delivered in app form that is easily downloadable to mobile devices. The consumer then locates a marker using their device and opens up a whole new level of 3D interaction with the brand. The flexibility to incorporate the marker into printed materials, such as brochures, business cards and billboards, also presents multiple marketing opportunities. How are property brands utilising AR? 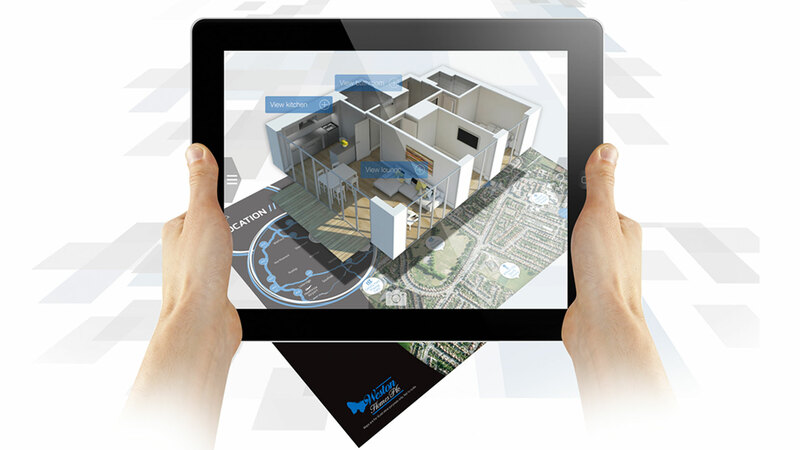 In the visual-centric property and construction industries, augmented reality is an invaluable tool utilised to elevate traditional visualisation methods and increase accessibility via mobile applications. 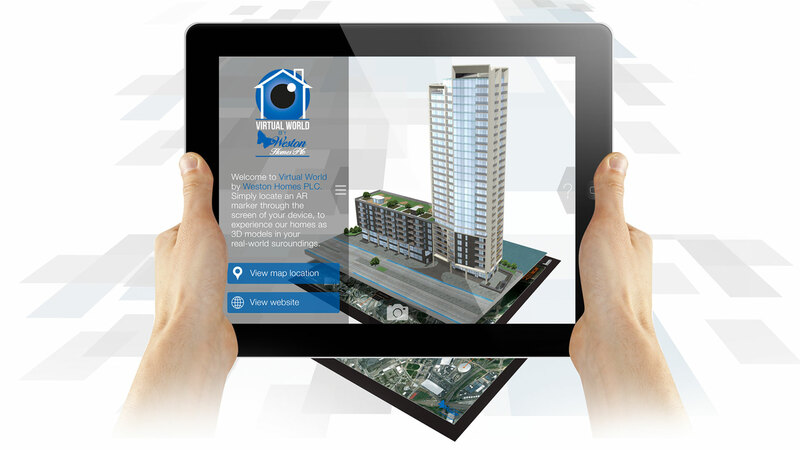 By using AR, real estate and construction brands are able to bring virtual 3D site models, interiors and specific features to life on any screen, at any scale, anywhere, whilst offering prospective customers a realistic viewpoint on an interactive level. For instance, our recently developed AR apps for Weston Homes PLC allow prospective buyers an amazing visualisation experience of the luxury Stratford Riverside development. Not only can interested parties view a 3D site model via their mobile device, but they can also select plots ‘off plan’ and view the interior layouts. This also provides prospective buyers with an incredible insight into the scale, design and feel of the property, as well as allowing them to ‘play virtual house’ by furnishing rooms and selecting fittings for kitchens and bathrooms. From design and planning to marketing and sales, augmented reality is an innovative and powerful tool that enables brands to fully engage with the consumer and retain their attention. Are consumers ready for AR? Yes, consumers are already receptive to this form of technology and are eager to interact with brands using mobile applications. 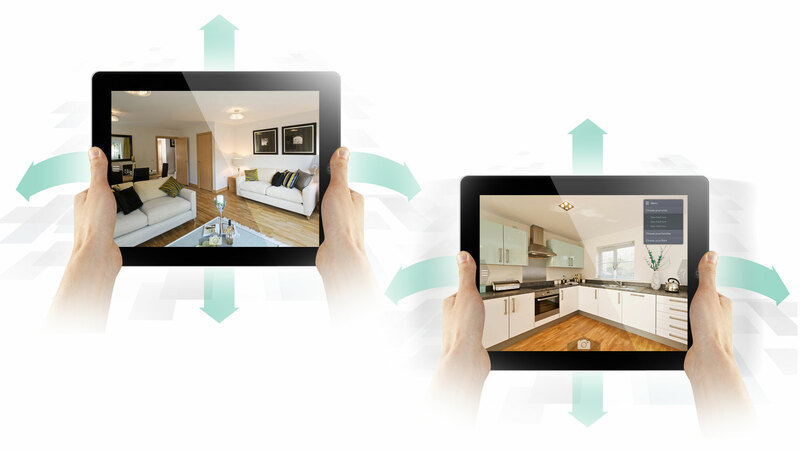 For instance, many will have seen the benefits of using AR in conjunction with property and construction showcased by Sarah Beeny in her Channel 4 TV programme, 'Double Your House for Half the Money'. During the series she enabled homeowners to visualise her remodelling suggestions by using augmented reality to generate 3D visuals on-site using a mobile device. Not only can AR give us a glimpse into the future using 3D visualisation, it also integrates seamlessly into the marketing mix. Used in conjunction with social media, printed marketing materials, press, packaging, point of sale materials, mobile and online, AR takes marketing to a whole new level to fully engage the end-user. If you're still not convinced AR is right for you, check out what we've created for our some of our clients. You may just change your mind.